Congratulations to "Willa", the winner in Lara's giveaway. Thank you to all who participated! Growing up, I was always a bit fascinated with red hair. My dark brown strands seemed boring in comparison to the fiery shades that glow so warmly in the sun. I don’t know if it was the relative rarity of red hair that made it so attractive to me, or the number of different variations out there, ranging from strawberry blonde to carrot-top orange. All I know is that for the longest time, I’ve wanted copper-red hair. As my romance novel habit grew, I noticed something: red hair is generally a feature limited to heroines. In a lot of romances, ‘red hair’ is shorthand for a fiery tempered, independent, feisty woman. But there aren’t many heroes out there with red hair. Barring Jamie Fraser, the hero of Diana Gabaldon’s Outlander series, I have a hard time thinking of a hero who sports those gingery locks I love so much. When Thomas Kincannon first appeared, I knew two things about him: he’s a friend to James (the hero of my first book, Deadly Contact), and he has bright red hair. While James didn’t comment on Thomas’s hair, it’s one of the first things that Claire notices about him. Here’s a snippet from my new book, Fatal Fallout. Claire’s musings were interrupted by the arrival of a new face. A tall man stepped into the room, stopped to murmur something to the police officer who had looked up at his entrance, and then turned and walked over to the couch. He sat down, close but not crowding her, and gave her a small smile. “Dr. Fleming, I presume?” His voice was deep and smooth, calming. She nodded. “I’m Agent Thomas Kincannon, FBI.” He removed a badge from his jacket and held it out. She took it, inspecting the gold shield and picture ID. He looked so young in the picture, a fresh-faced boy probably just out of the academy. She glanced at his face as she returned his identification. The long nose was the same, but his cheeks were a bit leaner, and faint lines bracketed his mouth and feathered from the corners of his bright blue eyes. It would seem Agent Kincannon had grown up a bit since this picture was taken. “Claire.” She relaxed her arms, stuck out a hand. Standing five foot eight, she’d never felt particularly small before, but when his large hand enfolded hers, she felt positively tiny. His skin was warm, and the brush of his fingertips against her wrist had tingles shooting up her arm. What was she supposed to say to him? Nice to meet you was a lie, given the circumstances, but manners dictated she say something. He turned to glance at the officer by the door, and the light from the window caught Agent Kincannon’s hair, highlighting the mix of red, gold, amber and copper strands in the tuft that fell across his forehead. “Your hair—it’s beautiful,” she blurted out. He turned to face her, eyebrows lifted and mouth twitching, and she wished desperately for the couch to open up and swallow her whole. What about you, reader? Do you like red hair as much as I do? Who’s your favorite hero with red hair (book, TV, or movie)? 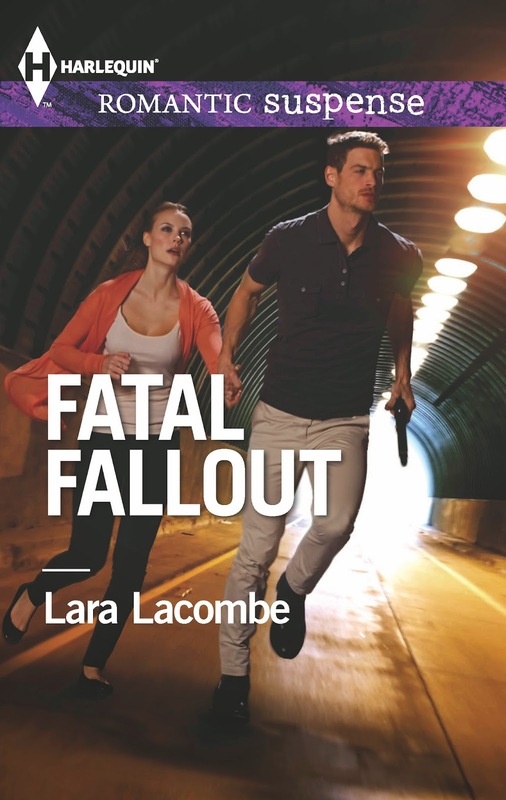 Tell me in the comments for your chance to win a copy of my latest book, Fatal Fallout! Nuclear physicist Dr. Claire Fleming has one rule: never get close to anyone. But when her colleague is murdered and she's targeted next, she must place all her trust in FBI agent Thomas Kincannon. Soon Claire forgets her tenet as she fantasizes about Thomas's touch. Thomas is wildly attracted to Claire. But his life and his job are too complicated for any romantic entanglements. Despite this, they share a mind-blowing kiss, and there's no turning back. When Thomas's niece is abducted, the stakes become dangerously higher as Claire insists he trade her for the child. Somehow, Thomas must find a way to rescue his family and protect the woman who let her protective walls down just for him. I earned my Ph.D. in microbiology and immunology and worked in several labs across the country before moving into the classroom. My day job as a college science professor gives me time to pursue my other love--writing fast-paced romantic suspense, with smart, nerdy heroines and dangerously attractive heroes. I love to hear from readers! Find me on the web, or contact me at laralacombewriter@gmail.com. I love red hair on a heroine. Not so much on a hero. Thanks for the chance to win a copy of your book - it looks like a good one! I've never much cared for red hair on a hero!! The book sounds awesome. I love finding new authors and their books!! I'm indifferent... I have black hair so I've always wanted a different color... even brown! I love Julianne Moore's deep red and Prince Harry's light. Congrats on the new release and thanks for sharing! I can't think of a red-haired hero. That's kind of sad really. Love red hair on a heroine. My first love was Alec Ramsey from The Black Stallion series. He has red hair and the Black Stallion. It's off the air now but my favorite red haired hero is Lieutenant Horatio Caine in CSI Miami.